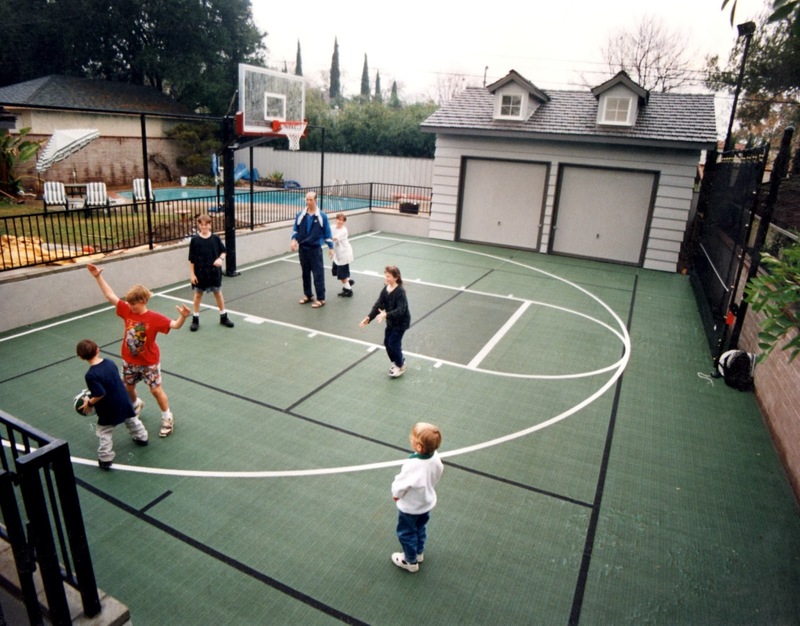 Sport Court of Southern California: Throwback to the Turley Family's 20 Year Old Sport Court Game Court! Throwback to the Turley Family's 20 Year Old Sport Court Game Court! Meet the Turley Family! Nineteen years ago, they purchased a backyard court which they still own today! Having five children and being a very sports minded family, they wanted to find a really good quality court that would last for a years to come. After meeting with Sport Court owner, Dale Hendrickson, who explained the whole process and designed the perfect set up for their family. Looking back, Doug Turley remarks on the memories as a father with his kids and enjoying different sports on the court. His son, Connor reflects that having the court as a kid really helped his development as an athlete as well as bonding with his four other siblings. One of his fondest memories was waking up Christmas morning and running out side to see their brand new Sport Court. "It's definitely helped me in my career, but also it's just been great for the whole family!" Doug goes on to comment that despite the courts age, "it still has the same resiliency and its still what it was almost nineteen years ago...it's amazing!"